The Makeup Show Artists have launched a Limited Edition Brush Line, personalized with each individual artist’s signature to mark their essential tools, techniques and tradition. 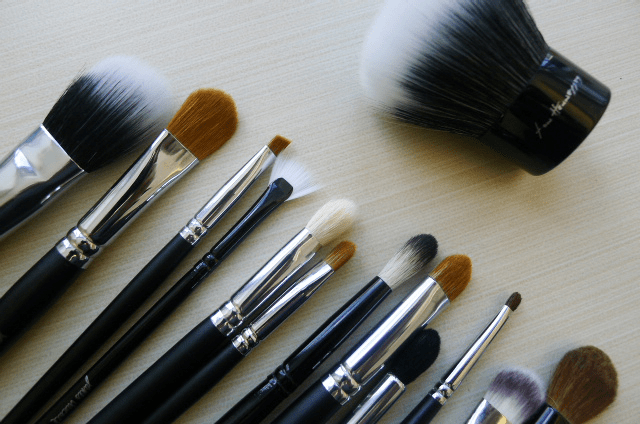 The Makeup Show Brush Line features brushes from celebrity makeup artists, James Vincent, Jon Hennessey, Orlando Santiago, Esterique Aidan and Danessa Myricksand includes a full set of 13 brushes suitable for artists at every level. The Makeup Artist’s Brush Sets will launch at The Makeup Show NYC this weekend ( May 13th and 14th) and will then be available exclusively on Hautelook.com this summer. Each artist’s set of Limited Edition Brushes will retail for $20.00 or $90.00 for the full collection, which includes brushes from all five artists.